Startup Select is a powerful startup manager to help you get a faster running PC. 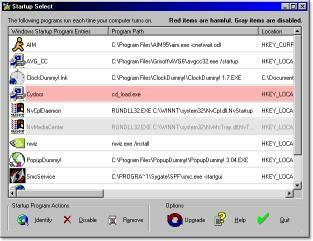 It allows you to identify enable disable and remove the programs located in the Registry and Startup Folders which run automatically every time Windows starts up.  Startup Select contains a builtin database of hundreds of Windows startup programs and their descriptions. 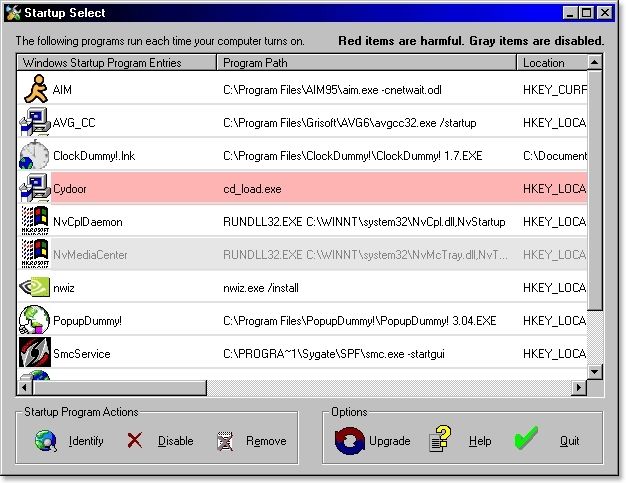 Any harmful program entries are highlighted in red notifying you which entries should be disabled. Using this feature you can easily identify which Windows startup programs are spyware adware hijackers viruses and more. Startup Select is the perfect addon tool to use alongside popular spyware cleaning programs. Startup Select makes it easy to manage the programs which run at Windows startup and optimize your PC. Your PC will turn on faster run faster and shutdown faster with this powerful optimizing tool.